Van Camp siblings Ashley, 5, and Tyler, 7, donate money to the Burlington Township Food Pantry outside Ron Murdza’s home. Murdza has raised almost $8,000 for the pantry to date. Early this morning, someone broke into the food pantry donation box at the Murdza residence in Burlington Township and stole all donations from the previous night. Murdza empties the donation box each morning. He says that last night was a very busy night at his house and whoever broke the box likely got away with a few hundred dollars. Ron Murzda has been decorating his house with tens of thousands of lights and collecting food and monetary donations for the Burlington Township Food Pantry for years, raising almost $8,000 for the pantry to date. Murdza is taking additional precautions to prevent theft from happening again, including installing a surveillance camera and emptying the box at night as opposed to in the morning. Murdza did file a report with the police but has not yet been able to determine who broke into the box. A representative from the food pantry also came out to express the pantry’s concern over what happened. Murdza posted the news on the Burlington Lights Facebook page and has received overwhelming support from the community. “People have been sending notes all day via our website. Some people have actually said they are collecting donations in their office today,” Murdza said. Visitors to the Murdza house can enjoy the 30,000 lights along with tuning into 96.1 FM radio station to watch the lights twinkle to the beat of the song. 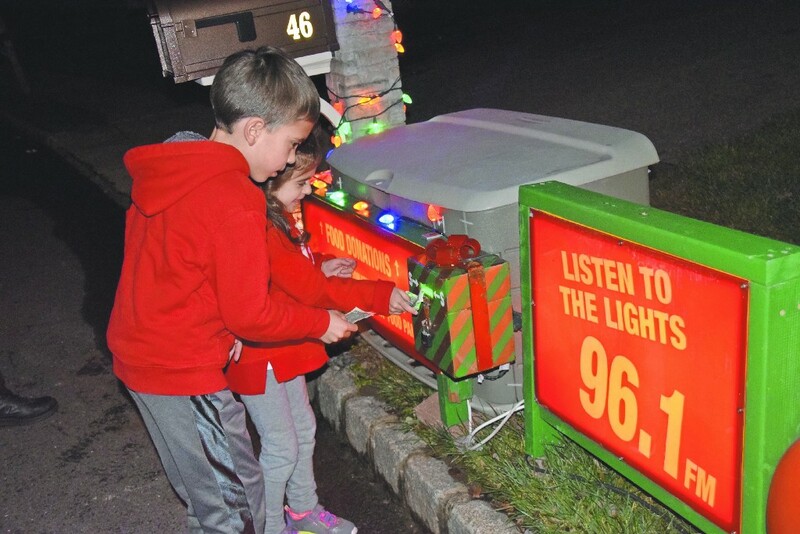 Read the full story on Burlington Lights here: https://burlingtontownshipsun.com/burlington-township-family-lights-up-house-for-the-holidays-with-30-000-lights-5781e41d192d#.j9mfm0q8b.